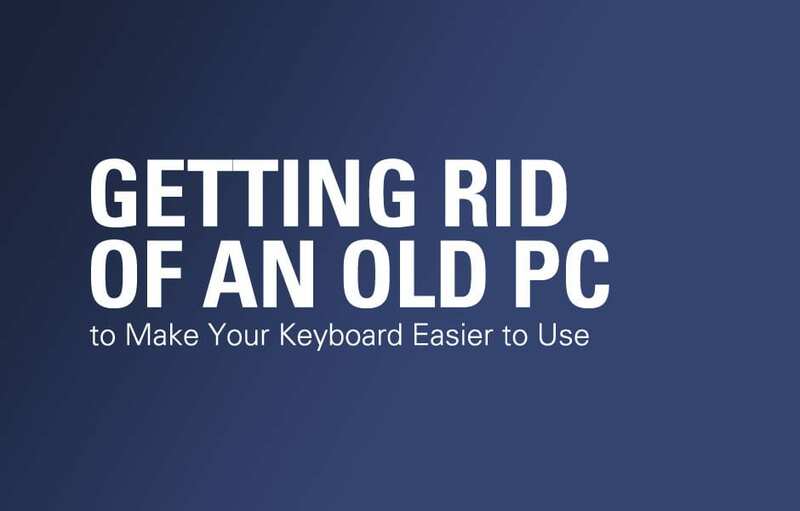 3 PC Ways to Get Rid of an Old PC ). It specializes in distributing used business computers to charities. If you can't find a charity, ask around your neighborhood. Last year, I gave an old computer to a neighbor who lost her job and her computer. It was too slow for me, but she was very pleased. She's still using it. 2. Pass it on to a recycler. A recycler will take the machine off your hands, often for a small fee. The materials in the computer aren't worth a great deal. Hence, the fee. But the materials that can cause environmental damage can be recycled. Again, finding the recycler is the key. And once more, the Web comes to the rescue. Electronics Recycling (www.electronicsrecycling.net) lists a ton of firms that do this work. The recyclers are listed by state. So you should be able to find someone nearby. Some charge fees; others do not. You can also recycle your machines through Dell Computer or HP. Both charge small fees. The National Safety Council also maintains a list of recyclers. If your machine isn't obsolete, you can trade it in. HP arranges trade-ins through a third party. You won't get rich this way; few things depreciate faster than computers. But it beats throwing the thing into the trash. HP will give you a free quote for your old beater online through its Trade-In Program (do a search on the home page for "trade-ins"). After sending in your old computer, you have 30 days to buy a new HP or Compaq unit. Fax in a proof of purchase, and you get a check. I've written about this before, but it's worth repeating: If you leave personal information on your hard drive, your identity could be stolen. Just because you're giving it to charity, you can't assume that an honest person will get it. Deleting stuff from your hard drive isn't enough. Deleted files often can be recovered. At the very least, you should format the hard drive. To do that, make a bootdisk at Bootdisk.com. Put it in the A: drive and boot the computer. When you get an A: prompt, type "format c:" (without the quotation marks). This will wipe out everything on the hard drive. You're safest if you overwrite the disk. There are free programs that will make the disk unreadable. PC Inspector's (www.pcinspector.de) e-maxx meets U.S. military standards. Another good program is Eraser, free through Heidi Computers (www.heidi.ie). If you have a Mac, try SuperScrubber (www.jiiva.com). It is about $30, and also meets military specs. Are you getting a new PC, or a set of new PCs for your business? If so, the question becomes: What do I do with that old clunker? Don't just cart it off to the nearest dumpster and help clog up some landfill with electronic waste. There are better, more environmentally-friendly options to consider. First of all, someone could use your old computer. Or maybe you could trade it in on a new one. At the least, you could pay a small fee to a recycler to take it off your hands. Let's look at three ways to dispose of an old computer. 1. Give it to charity. Many charities would love to take your old computers. They refurbish the machines and give them to people for whom a new computer is just a dream. True, they're a little picky about what they'll take. If you have a museum piece that's been sitting in the basement 10 years, they don't want it. The machine has to be able to run modern software. But if your old clunker is no more than three or four years old, someone will want it. Virtually all of these organizations take Windows machines; some also take Macs. Obviously, running machines are preferred. If yours is broken, ask. It may still be wanted. Finding the proper organization is the key. To do that, contact the National Cristina Foundation, which has affiliates in all 50 states. Both PCs and Macs are welcome. Another good place to start is Gifts in Kind International (www.giftsinkind.org). It specializes in distributing used business computers to charities. If you can't find a charity, ask around your neighborhood. Last year, I gave an old computer to a neighbor who lost her job and her computer. It was too slow for me, but she was very pleased. She's still using it.